This is a copy of a paper published in the Routledge Encyclopedia of Philosophy Online, edited by Edward Craig. London: Routledge, 2001. Please cite as: Deflem, Mathieu. 2001. “Ferdinand Tönnies (1855-1936).” In the Routledge Encyclopedia of Philosophy Online, edited by Edward Craig. London: Routledge. URL: http://www.rep.routledge.com/article/R048 (subscription). Ferdinand Tönnies, German sociologist and co-founder of the German Society for Sociology. Known widely for his theory of Gemeinschaft and Gesellschaft, his sociological oeuvre not only comprised the elaboration of an innovative theoretical approach but also included many applied and empirical studies on a wide variety of social issues. Less influential among present-day social scientists than his contemporaries Weber and Simmel, Tönnies remains an often misunderstood but always respected founding-father of sociology. Tönnies was born on July 26, 1855 into a wealthy farming family in Schleswig-Holstein, Germany. 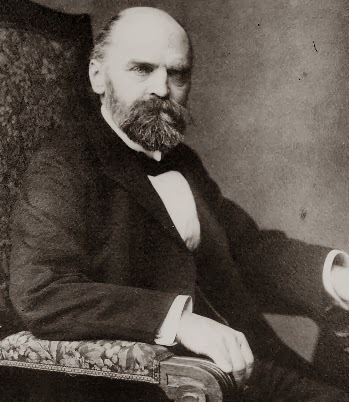 He studied at universities in Jena, Bonn, Leipzig, Berlin and at Tübingen, where he received his doctorate in 1877. In 1881, he became Privatdozent (private lecturer) at the University of Kiel. Both because he did not enjoy the burdens of a formal academic position and because he was politically suspect as a social-democrat, it was not until 1913 that Tönnies became full professor, a post he held for only three years. In 1921, Tönnies returned to the University of Kiel as professor emeritus in sociology, where he stayed until 1933 when he was dismissed under the Nazi regime. In his first book, Gemeinschaft und Gesellschaft (originally published in 1887), Tönnies presented his most famous and enduring contribution to social thought. The work is arguably the first systematic sociological account to sketch an evolution from ancient to modern society. Suggesting a transformation from Gemeinschaft to Gesellschaft, Tönnies argues that societies of the earlier form are organized around family, village, and town. The economy is largely agricultural and political life is local. Gesellschaft societies, on the other hand, are organized at the larger levels of metropolis and nation-state, while the economic system is based on trade and modern industry. Extending his sociological perspective to include a social psychology, Tönnies conceived of social formations as expressions of the human will. He argued human volition to be either of the type of essential-will (Wesenwille), dominant in Gemeinschaft, or arbitrary-will (Kürwille), which characterizes Gesellschaft. Essential-will is defined as the human will which readily springs forth from a person’s temper and character. The development of essential-will into arbitrary-will allows actors to choose among various means to fulfill certain ends. The crucial characteristic of arbitrary-will is the capacity to distinguish means from ends and to choose the most efficient means for any given end. Importantly, Tönnies did not conceive of the evolution from Gemeinschaft to Gesellschaft in unilinear terms. Instead, he held that organic and romantic theories of social evolution (such as those of Lewis Morgan and Henry Sumner Maine) as well as materialist and rationalist interpretations (especially Marx and Hobbes) needed to be integrated into a more encompassing model. Hence, Tönnies conceived of any society as always to some degree both Gemeinschaft and Gesellschaft. Tönnies’ concepts, therefore, must be understood as directional concepts that represent analytical ideal types that are understood in abstraction to grasp society in its concrete manifestations. Tönnies’ sociology of law nicely illustrates the peculiar status of the conceptual demarcations in his sociology. In general terms, Tönnies suggests a transformation of law from common or customary law to contract or statutory law. To grasp this transformation, Tönnies argues, the rationalist doctrine of natural law should be synthesized with the organic romantic-historical school of thought. For the evolution of law revealed that the artificial element in law has become dominant in the course of history, as modern law becomes monopolized by the state. However, other forms of law, especially custom, continue to persist, so that the relative weight of state legislation in comparison to other types of law always remains an empirical matter. Despite the precise status Tönnies attributed to his concepts, his work has suffered from a one-sided and biased reception. When Tönnies first published Gemeinschaft und Gesellschaft, the work was not widely read, while later editions of the book that appeared in the early 1900s were often appropriated by a generation of young romantics that sought to intellectually ground an utopian return to Gemeinschaft. Continually haunting the reception of Tönnies’ work until today are an unfounded association of his thought with romantic-idealism and the related misconception that Tönnies would have pessimistically criticized Gesellschaft societies. Most of Tönnies’ later work remained indebted to the theory of Gemeinschaft and Gesellschaft, but a substantial part of Tönnies’ writings also involved the elaboration and application of a comprehensive conceptual scheme for sociological analysis. Tönnies distinguishes between pure, applied, and empirical sociology. Pure sociology is aimed at constructing the fundamental theoretical concepts needed to understand society in abstraction. Applied sociology is intended to deductively analyze the dynamics of social events and historical changes. Empirical sociology, finally, relies on an inductive approach to study the variable features of concrete social conditions. Tönnies emphasized that pure, applied, and empirical sociology should mutually inform one another. Tönnies’ life-long work, comprising at least 900 published writings, made important contributions in all three specified fields of sociology. In the area of pure sociology stands his work on Gemeinschaft and Gesellschaft as well as many other writings on sociological theory, particularly on social organizations, values, and norms (e.g., Tönnies 1931). Contributing to the study of social change, Tönnies wrote extensively on a wide variety of societal matters, including public opinion, custom, and technology (e.g., Tönnies 1922). Finally, Tönnies also held a life-long interest in the descriptive and methodological part of sociological research, investigating the empirical dimensions of social ills, such as suicide and crime, and inventing and applying his own technique of statistical association (Deflem 1999). Tönnies has clearly not received the scholarly attention that some of his contemporaries have come to enjoy. Among the reasons for this relative neglect are a somehat archaic style of presentation, the complexity of his thought, and the fairly widespread accusations against his theoretical position (Adair-Toteff 1995). Also, Tönnies’ ambition to combine competing schools of thought and the diffusion of his work over many publications in various matters of sociology did not promote an adequate reception of his thought. With some recently published English translations, the ambitious publication of a Gesamtausgabe, and continued analyses that apply Tönnies’ thought, there are signs of a resurgence of interest in Tönnies’ sociology, but its long-term impact is uncertain. Cahnman, W.J. (ed., 1973) Ferdinand Tönnies: A New Evaluation. Leiden, The Netherlands: E.J. Brill.